There’s another vital factor in keeping seniors out of the hospital. It’s family. Nearly 100% of the nurses surveyed agreed that a family’s role in helping to keep seniors healthy and out of the hospital is as important as that of the medical community. In spite of that, less than half (48.6%) of the seniors they see have family members who serve as active advocates for their care, according to the survey. 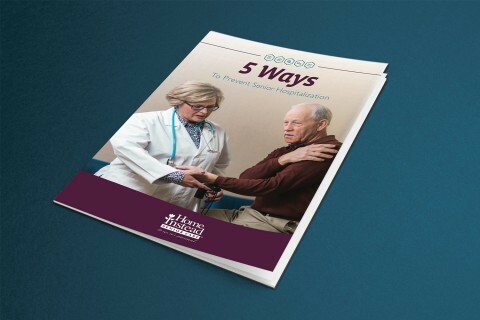 For yourself or your clients, this compact guide is loaded with tips and resources to help prevent unplanned senior hospitalizations. The book goes well beyond fall prevention to share some lesser-known risk factors, along with strategies to mitigate them.